These two couples are popular celebrities in the Philippines. 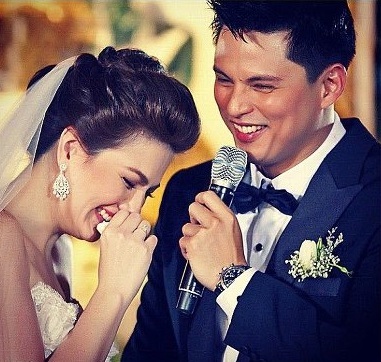 I will not go through the story on how their “surprise” “mob” wedding came about (just google: Carmina and Zoren wedding), but I will tell you how I came about noticing the beautiful earrings the bride wore. 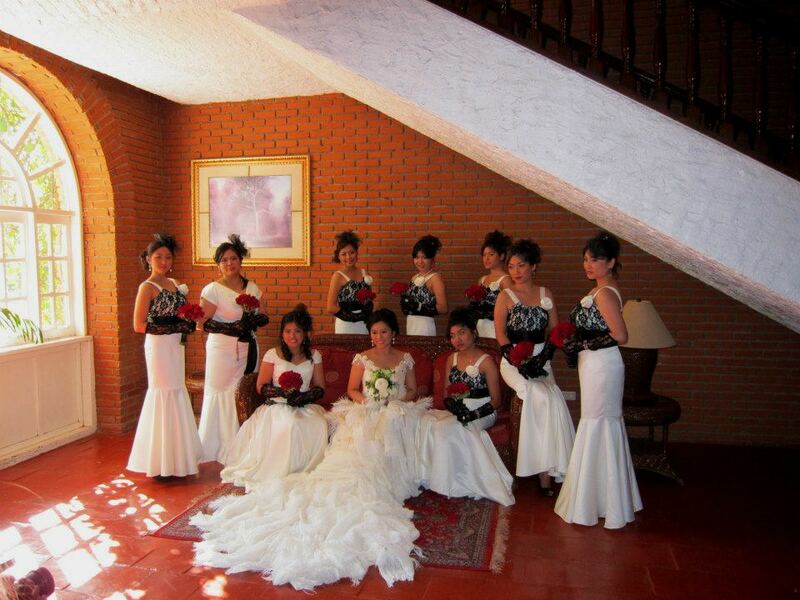 A client approached me in December and asked if I saw the wedding on tv. I said I did not and she told me her sister, who lives in the US saw it. 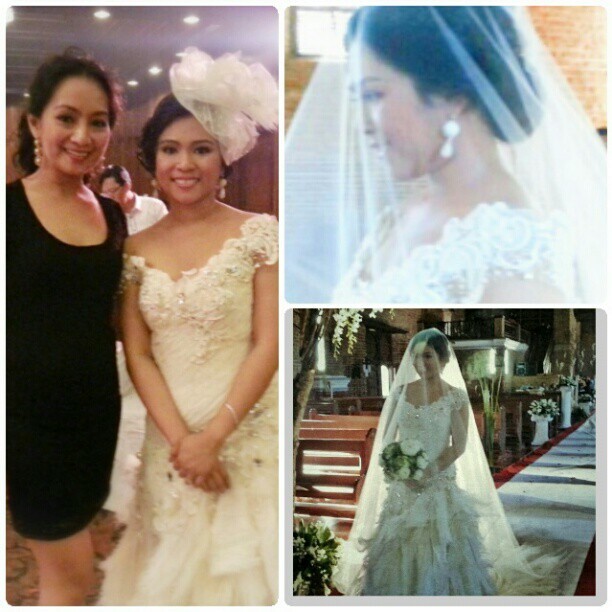 She was getting married in December and wanted a similar pair of earrings to that of Carmina’s (the celebrity). 2 weeks. I had about 2 weeks to make this pair. That, plus 2 other weddings I was preparing for. But I will never back out of a challenge. Besides, new supplies and materials just arrived from the mail and they were just sooo perfect to recreate the piece. The inspiration piece looked like it had a large diamond stud from where a teardrop-shaped dangler hung and from this dangler, a couple of smaller teardrop-shaped danglers also hung. 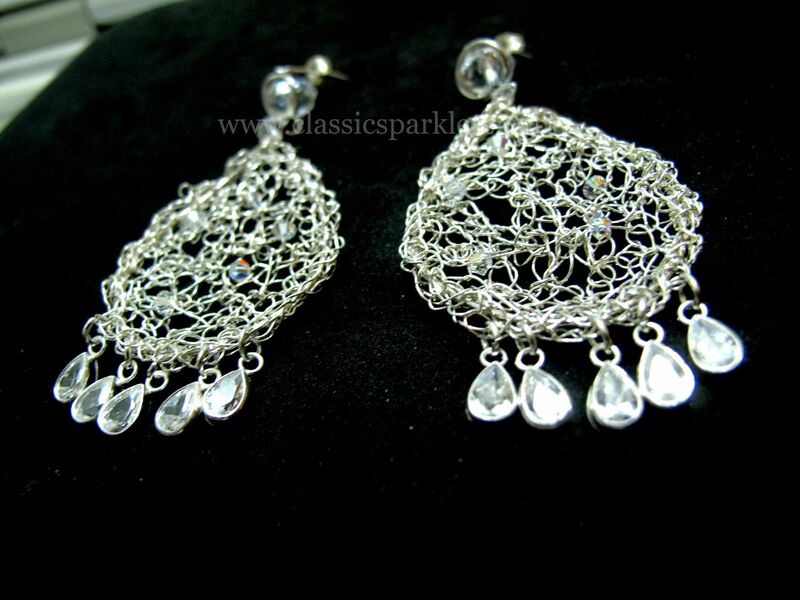 The ClassicSparklers’ filigree technique was fully used on this piece. 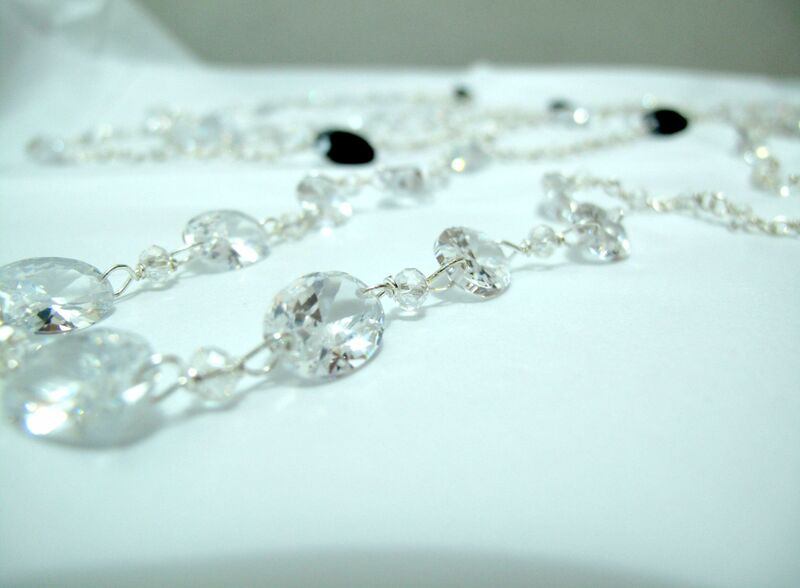 All sterling silver where diamond Swarovski faceted bicones were scattered about for that added shine. For that diamond stud, I used faceted Austrian crystals. 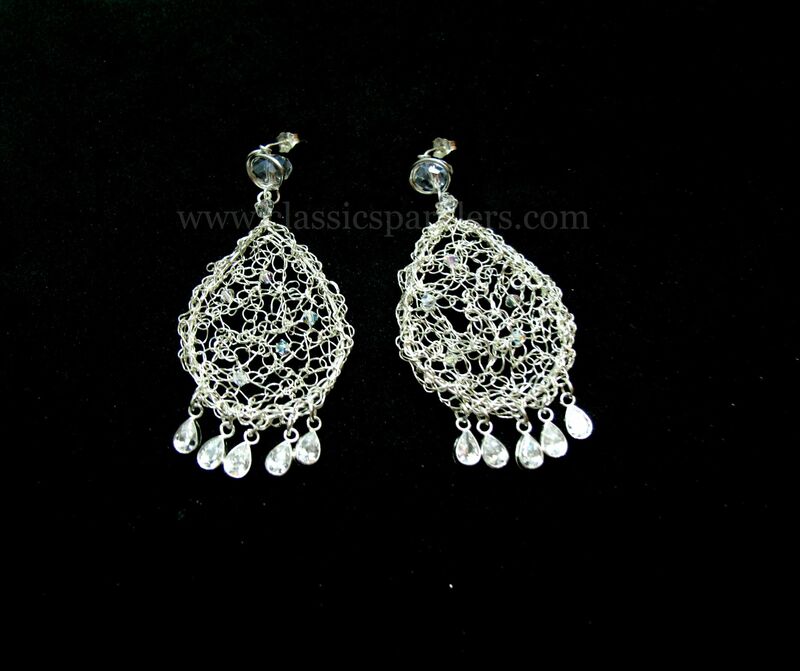 For the smaller danglers I used sterling silver bezel set cubic zircons. It took a years’ worth of collaboration between the bride finally complete the collection. I already knew I wanted to use diamonds. And not just crystals or quartz but its what we (customarily) call in the Philippines as “Russian Diamonds”. To combat the price, I had to purchase this a year ahead even if I would work on it a few months before the big day. 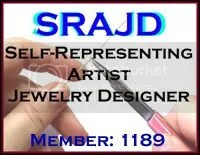 My ever reliable supplier had the right size and the right number of diamonds. They were large, about an inch in length. To stay within budget, I used plated sterling silver components to wrap and bind them together. Like every wedding I collaborate with, I have to ask what the dresses will be. I want to make sure that the jewelry will work with the dress or gown and not go against it. The bride said that there will be fascinators. The ladies’ earrings were easier to make. 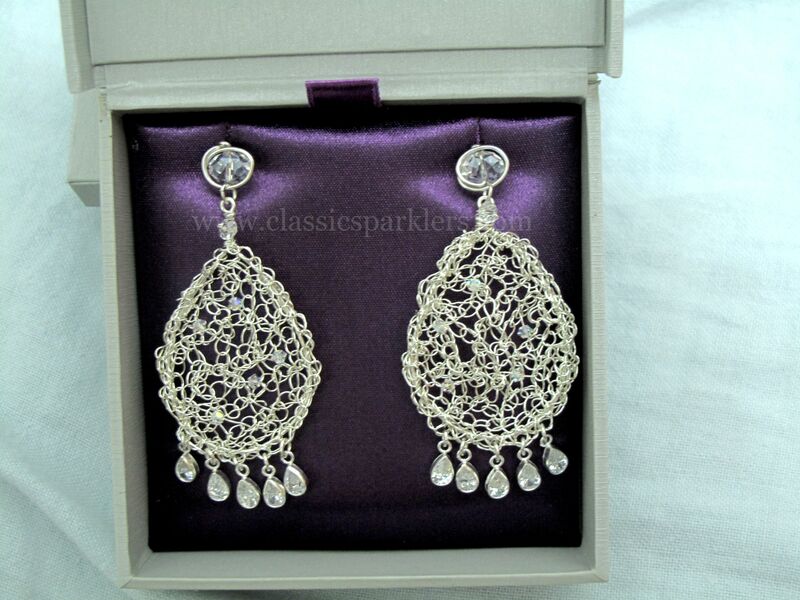 The bride saw a previous filigree design and decided on it right away. 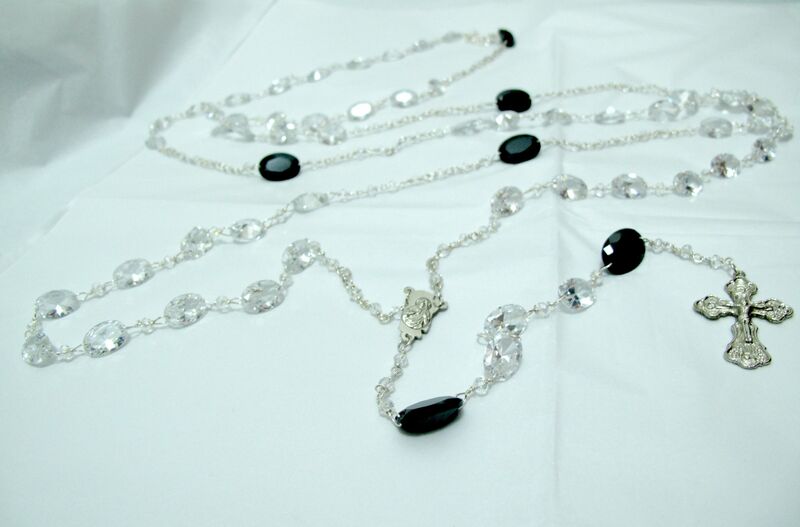 It used blackened sterling silver, Austrian crystals and quartz. To make theirs more unique, I made them larger and used rock crystal quartz and larger briolettes. I thought that would be enough for the earrings to stand out even under their fascinators. The couple wanted this personalized and how much more personal can you get with birthstones! 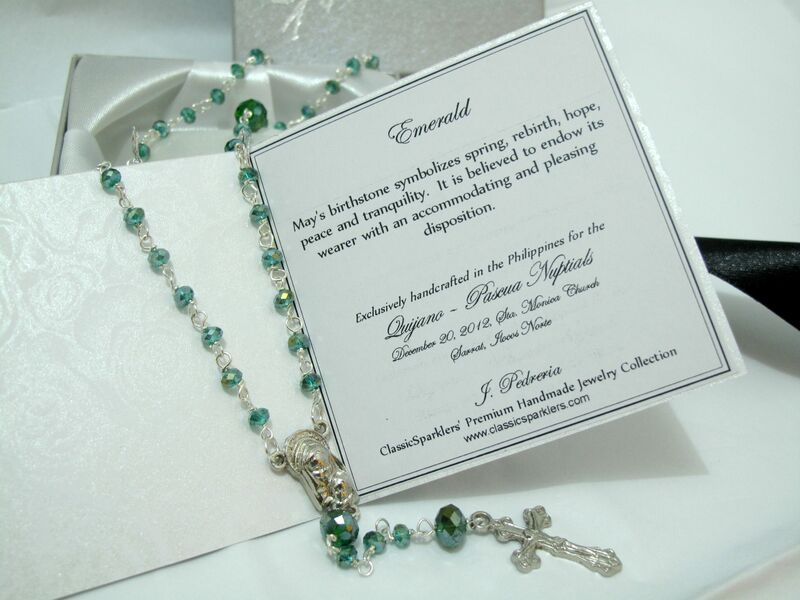 They decided on full length rosaries with beads made of the sponsors’ own birthstone 🙂 Real and natural gemstones were quite pricey a year ago and their prices have not gone much lower. To stay within budget, I used Austrian crystals and wrapped them together with plated sterling silver components. It will not be much noticed but this made them coordinate well with the wedding cord. I had no idea of what the bridal gown would be. 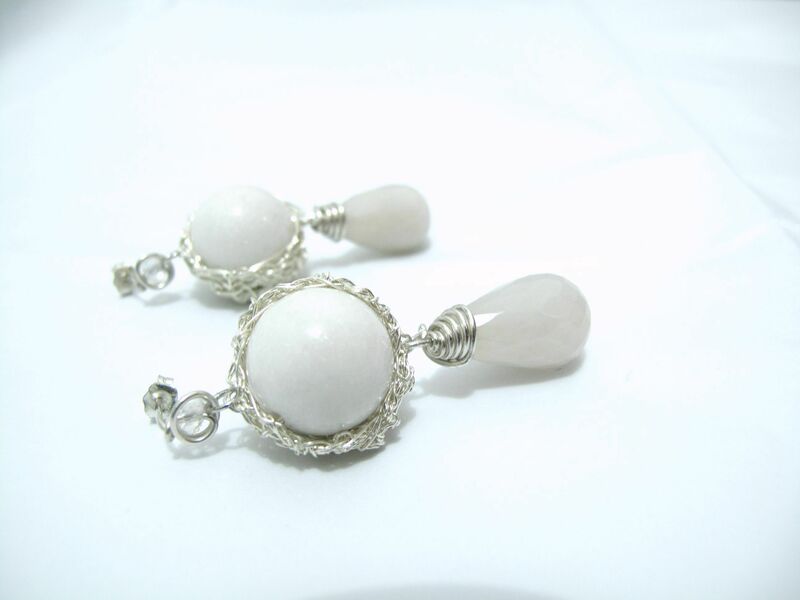 The bride just told me she wanted a white dangler similar to a previous design that was composed of freshwater pearls and white jade. …. but didn’t want it to be made of pearls. She wanted the white jade faceted briolette to remain. I searched my stock and was happy to have found some white agate sandstone! This little piece of magic had small “sparkles” all over. Again, to make it different from the inspiration, I used Austrian crystals instead of a regular filigree wrapped ear stud. I covered the agate with sterling silver in ClassicSparklers’ traditional nest design and then wrapped the white jade in sterling silver. Each piece came with their own Certificate of Authenticity which describes the work process and the meaning between each component. Sorry for the lack of posts but our December was full of weddings.